Wheel lift towing is a method where the tow truck is designed with a large metal yoke that could be fitted either under the front or under the rear wheels to lift up vehicles. It may also consist of hydraulic lift system which is used to hoist a vehicles above the ground with the other two wheels running along the road while the vehicle is being towed. With the wheel lift towing method, it is easier to maneuver a vehicle especially out of tight spots. In situations where your car battery is dead or your tire is flat while it is parked in a parallel way, it might be hard to extract the vehicle without damaging it or the cars around it. However, with wheel lift tow trucks, it is the best way to lift your car without any fear of this as it is easy to manoeuvre even in smaller spaces. Wheel lift towing is one of the most convenient means of towing a vehicle. It does not require too much stress. It could even pull a vehicle right out of tight parking spot with ease. 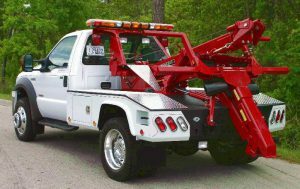 Most towing companies will employ wheel lift tow trucks for short distance towing. The wheel lift towing method causes less damage to the car’s bumper and frame. Since the weight of the vehicle is supported solely by the wheels, there is little risk of damaging the bumper, frame or plastic accessories. By towing in such way, the vehicle is safer from harm compared to traditional hook and chain towing method. As one of the easiest methods of towing, wheel lift towing can provide results with less effort. It will also at the same time not cause any damage to the towed vehicles. If you happen to be stranded in Malibu areas, just give us a call. We will come to your aid as soon as we can. Your waiting time will not be long. We strive to keep the response time short. Contact As Soon As Possible Tow Service at (424) 625-7201!